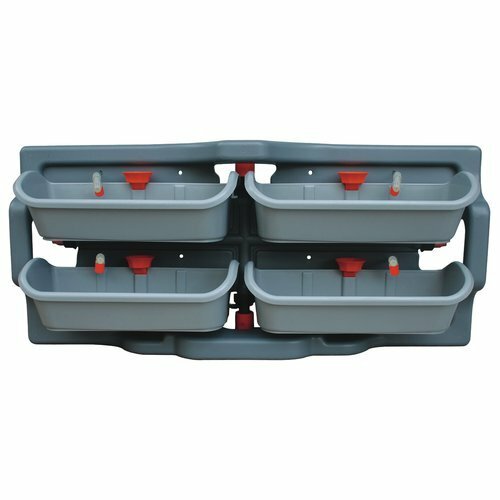 The 4-Piece Self-Watering Plastic Vertical Garden Set features four big capacity hanging pots attached onto panel in one kit, works great as flower fence, horizontal or vertical green wall, flower bed, pond, self watering , self draining, great for patio gardening. If you have any questions about this product by GARTENKRAFT, contact us by completing and submitting the form below. If you are looking for a specif part number, please include it with your message.